Audemars Piguet introduced the 41mm diameter men’s version of its highly acclaimed Royal Oak Frosted Gold model which was debuted last year as a part of the brand’s Pre-SIHH 2017 novelties. Back in November 2016, Audemars Piguet introduced a new model that amazed the watch enthusiasts. The new model, which was a member of Pre-SIHH 2017 novelties, was the Frosted Gold version of the legendary Royal Oak. Decorated with this embellishment technique known as Frosting or Gold Hammering, which was applied with a diamond-tipped tool on metal, the model was available with a 37mm diameter case only. Audemars Piguet Royal Oak Frosted Gold, which attracted the male users with its precise workmanship and unparalleled stance, got its 41mm diameter case version recently. I am not sure if it would be right to call a 37mm diameter case Audemars Piguet Royal Oak timepiece solely a women’s model in these days where the boundaries between men's and women's models are becoming ever more blurry. Especially for a watch enthusiast like me who wears a 36mm Rolex Day-Date almost every day. 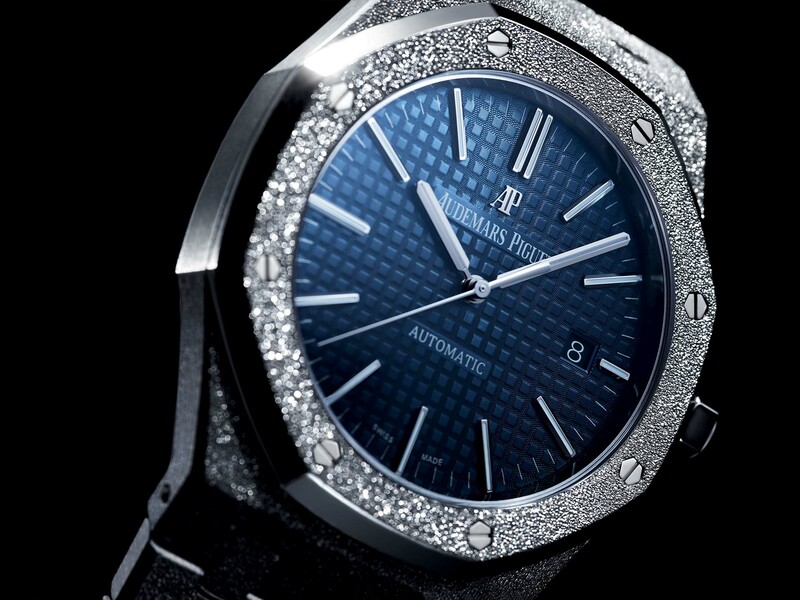 Apparently, Audemars Piguet should have opted to be a little clearer on this issue as the 37mm Royal Oak Frosted Gold was listed directly under the women’s collection. The new version is designed by the Ref.15400 platform to leave no doubt to be a men’s model. Offered in an 18K white gold case measuring 41mm in diameter and 9.8mm in height, the model features the “frosted” finishing as well as its 37mm sister. The idea of ​​producing models adorned with the technique of frosting was brought to the fore by the famous jeweler Carolina Bucci. 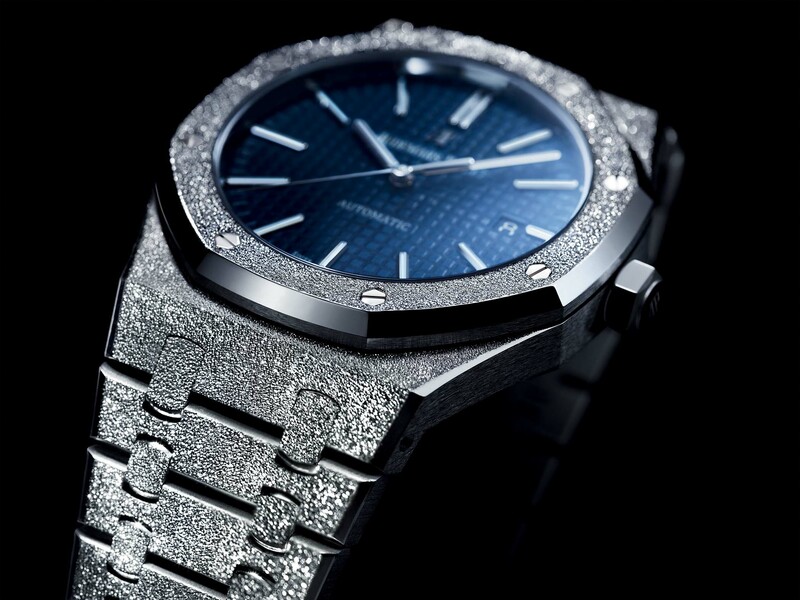 Upon the expected success of the prototypes, which are processed using diamond-tipped tools, Audemars Piguet decided to move on with more precise and serial production compatible processes. After the desired results have been obtained, the brand pressed the button for the production of the new model. The new model is same with the regular Ref. 15400 except the frosted finish. Offered with an 18K white gold case and bracelet, the Frosted Gold version also bears the classic Royal Oak style dial with "Grande Tapisserie" design. 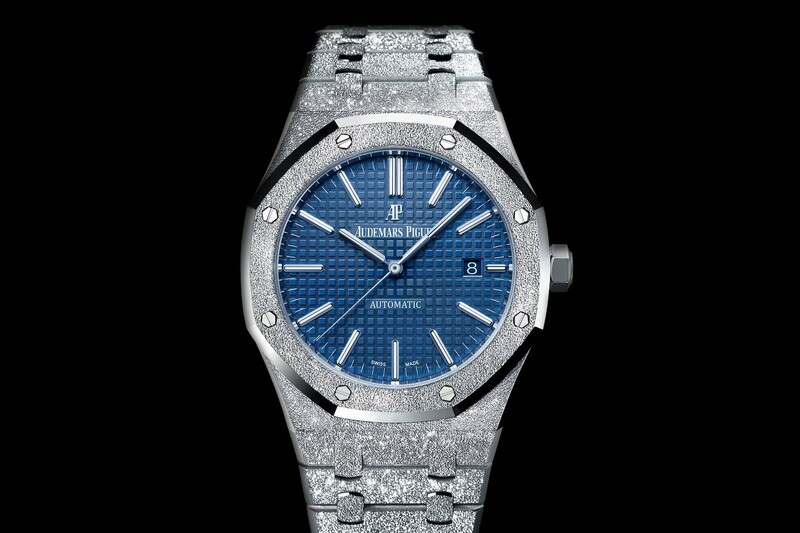 Audemars Piguet Royal Oak Frosted Gold 41mm (Ref. 15410BC) is powered by the in-house Caliber Ref. 3120. Self-winding movement beats at 3Hz and offers a 60 hour power reserve when fully wound. The movement, which bears Cotes de Genève finishing and a 22K solid gold oscillating rotor, can be enjoyed through the sapphire crystal caseback. The functions are hours, minutes, seconds and a date display at 3 o’clock. The new model is limited to a span of 200 units.